Daedalus proposes the deployment of an Automation Ecosystem for a multi-sided market based on a new generation of distributed intelligent devices (CPS) that, existing both in the real and in the cyber (simulated) world, can be aggregated, orchestrated and re-configured to exhibit complex manufacturing behaviours that optimize the performance of future shop floor. The initiative focuses on key topics for the competitiveness of Europe and its companies, encompassing a variety of interdisciplinary tasks with the objective of deploying a digital platform and multi-sided ecosystem for the industrial automation domain. Foster the widespread acceptance of the Ecosystem platform to guarantee success and impact of Daedalus multi-sided market. 5. Proof-of-concept showcases to accelerate the involvement of “complementors” and the maturation of the Ecosystem. 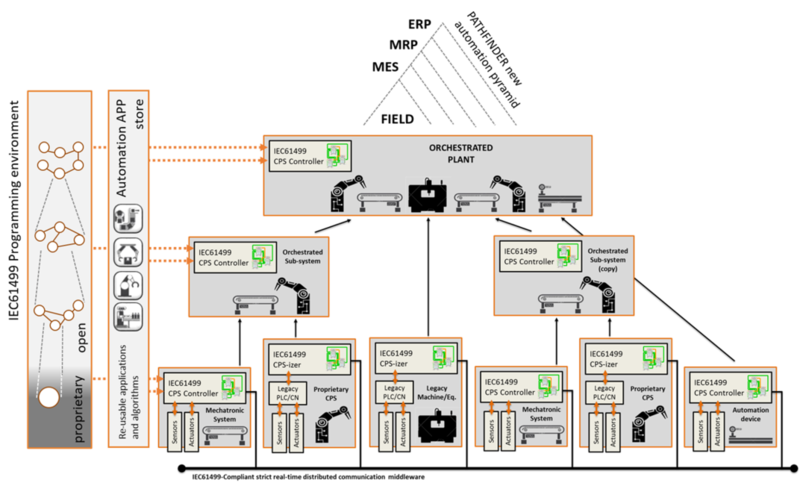 Daedalus exploits the already existing features of the IEC 61499 international standard for distributed automation to propose a functional model for CPS that blends coherently real-time coordination of its automation tasks with the “anytime” provision of services to other elements of the automation pyramid. This extension of the IEC 61499 functionalities adopts the openness and interoperability of implementation that the standard proposes, guaranteeing that CPS developed independently will be able to communicate and be orchestrated. 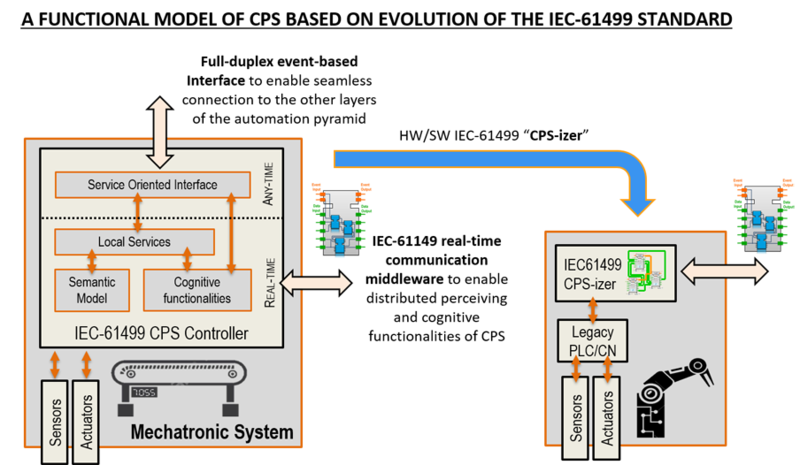 Adopting IEC 61499 standard and the corresponding development language brings the engineering of automation CPS to the same level of technical opportunities that already characterize current IT world, with modularity, aggregation, inheritance, etc. finally becoming tools of the automation engineer. Future shop floors application development will be based on a much more distributed and concerted effort among the different stakeholders of this market, paving the way for a digital marketplace, where a new generation of Automation Complementors will jointly contribute to the creation of added value for the end-user, within the context of sustainable business models. 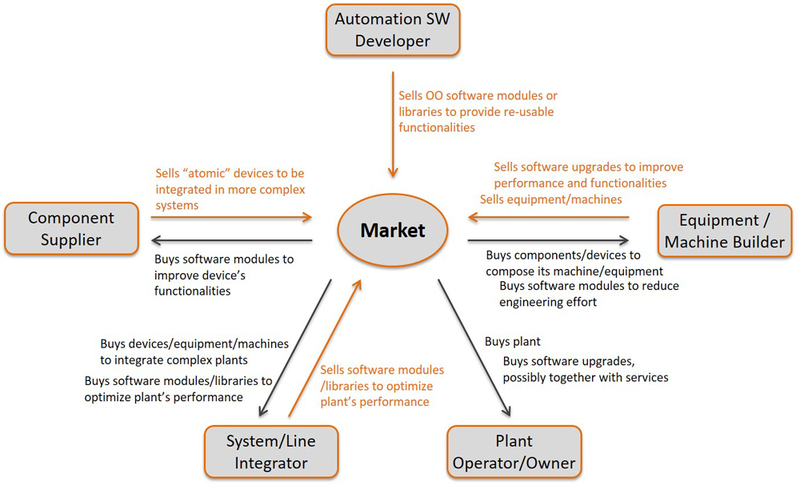 Understanding and accepting the major issue in deploying a Digital Marketplace for a multisided ecosystem – attracting users into the platform – Daedalus’ answer is the creation of a European Competence Centre to push the envelope of IEC 61499-based CPS as a disruptive innovation and become the catalyser to accelerate a widespread acceptance of the project platform at European level, hosting and incubating its Digital Marketplace. 3. Incubating the Multi-Sided Platform and the corresponding Digital Marketplace, while providing advanced services to Technology suppliers and Technology users in order to guarantee wide acceptance of Daedalus concepts.